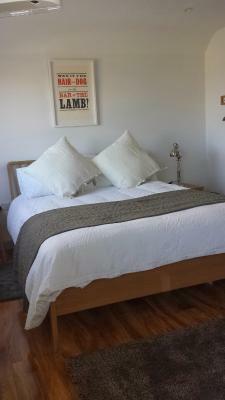 Lock in a great price for B - Simply Rooms – rated 9.6 by recent guests! The rooms were large and comfortable. There is a kettle with instant coffee, tea and biscuits. It's a quick walk to town for shops and restaurants. Parking is in a yard front of the building. The bed was really comfortable, the room really clean. Great place to stay and a very short walk to the village centre. If they did breakfast as well the place would be perfect. We LOVED B Simply Rooms. The rooms were clean, comfortable, and in an outstanding location. We even spent time with the hotel owner at his pub! Made it feel like a home away from home. Very comfortable room. Lovely welcome on arrival. Great shower in the bathroom. Easy access to property. Great list of local hiking routes & maps. The accommodations were perfect and the host super-friendly and helpful. 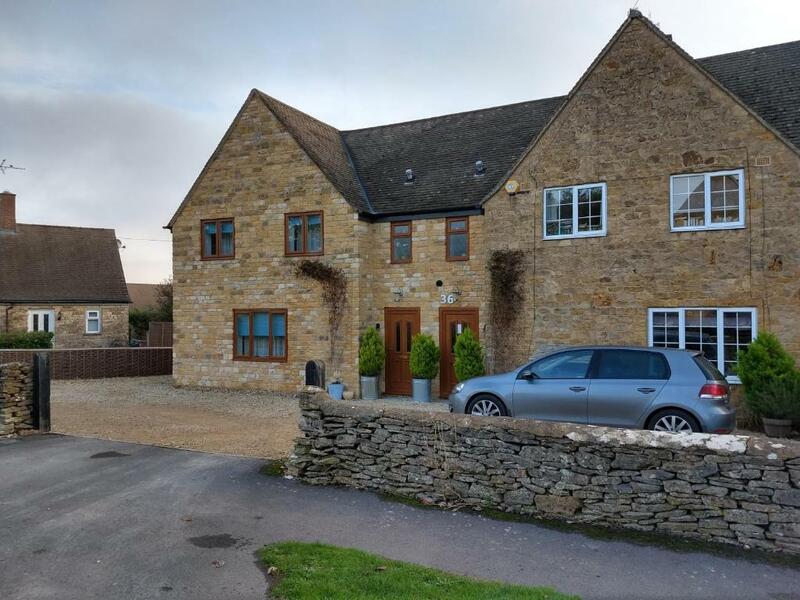 The home is literally a couple of minutes' walk form the town center, and you can start out on some of the Cotswolds' lovely hiking trails from your front door. I loved it here and did not want to leave! Great room with a great location! Jonny was a wonderful host. Impressive water pressure in the shower. No breakfast at this inn, just rooms - which is what they advertise. The owner also owns a local pub, so goes between the two places all day. Which just means you may have to wait a few minutes to check in, and have to pay at the pub when you check out. 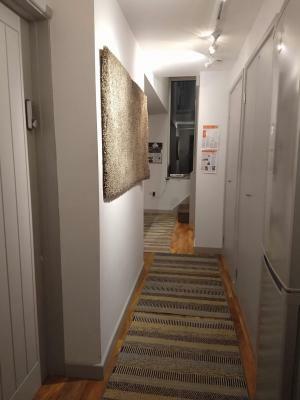 Residential location, but a short walk to the square. Very quiet neighborhood. If you want a bar or restaurant onsite, stay in one of the hotels on the square. Room larger than most, was spotless and had everything we needed, very welcoming and helpful host, few minutes walk to town centre, parking right outside, shower pressure was best we have experienced. B - Simply Rooms is a family-run property which offers accommodations in Stow-on-the-Wold. It offers a quiet setting, 500 feet from the village square. 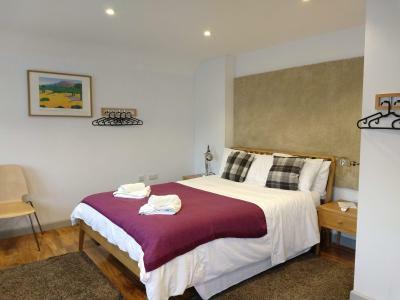 Each room at B has modern décor, free Wi-Fi, a flat-screen TV, tea and coffee-making facilities and a private bathroom. You can enjoy lovely country walks around Stow-on-the-Wold. Cheltenham is a 30-minute drive away. When would you like to stay at B - Simply Rooms? 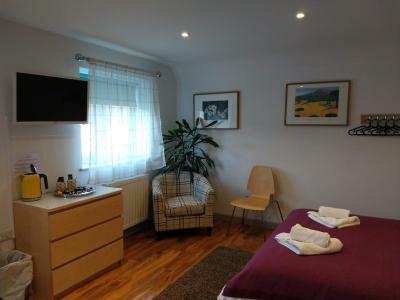 This larger room has free Wi-Fi, a flat-screen TV, tea and coffee-making facilities and a private bathroom. Free Wi-Fi, a 32-inch Smart TV and tea/coffee making facilities are featured in this room. House Rules B - Simply Rooms takes special requests – add in the next step! B - Simply Rooms accepts these cards and reserves the right to temporarily hold an amount prior to arrival. Card payments may be made at the house and will show as B Simply Rooms. The property does not offer breakfast. This property does not accept American Express or Diners Club. Guests wishing to arrive early may do so by request. You can use the Special Requests box when booking, or contact the property directly with the contact details provided in your confirmation. The property reserves the right to charge the guest for stains incurred to the accommodations. Plenty of tea and coffee. Fresh milk in shared fridge. Biscuits too. Powerful shower. Friendly, helpful host. Off road parking. Located right in town. My partner and I decided to stay in Stow-in-the-Wold as we had only come down for the day and loved it so much. We found this room for £90 and it was more than we could have hoped for as a last minute booking. We thought it wouldn’t be great as it was so inexpensive but the location is perfect, it’s clean, the bed is comfortable, there is a bath, the shower pressure is amazing and there was a jug of milk for us in the fridge downstairs so we could have coffee. Thank you for having us Jonny. 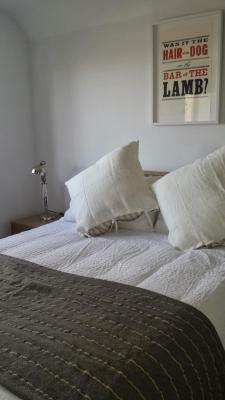 The room was large, extremely clean, modern and very close to the centre of Stow On The Wold. Great stay in Stow-on-the-Wold! We were greeted by the landlord and made to feel very welcome. The room was spacious and only a few minutes from everything you need! Could have shower as scalding or ice cold. Not having immediate access to room and having to wait on doorstep for 15 minutes in the rain. Location. Clean room. Comfy bed. Sink was cracked (minor problem only). Fantastic location with parking, just a few minutes walk from the centre, just easy, simple and perfect. Big spacious room. Very good value for money and there are plenty of tea shops nearby that do breakfasts. Poor service and facilities. There was no one there initially to check us in, and the person who then eventually showed us in was clearly in a rush and couldn't tell us when we needed to check out. When we checked out we then had to walk to a pub about 5 minutes walk away to pay, which doesn't actually open until half an hour after you need to check out. I couldn't connect to the WiFi for my whole stay, and the TV also cut out. You also have to go downstairs to the communal fridge to get milk for your tea/coffee. The curtains were extremely thin and see through. Though there are blinds, obviously the light shines in all round the sides of these as they don't properly fit the window, which made the room extremely light early on. Whilst the room itself was nice looking, it felt like the services and facilities had been forgotten and it made the stay quite frustrating. 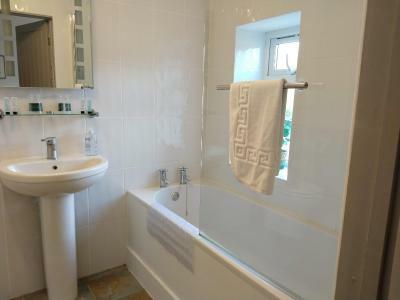 The room and en suite were large, clean and comfortable and it was very well located - just a couple of minutes walk from the main street in Stow. The location is ideal for walking into Stow and exploring the surrounding area. The accommodation was clean and comfortable and we would use it again.